The second game in ‘Final Zone’ is one that took me a week to beat on this one level alone. 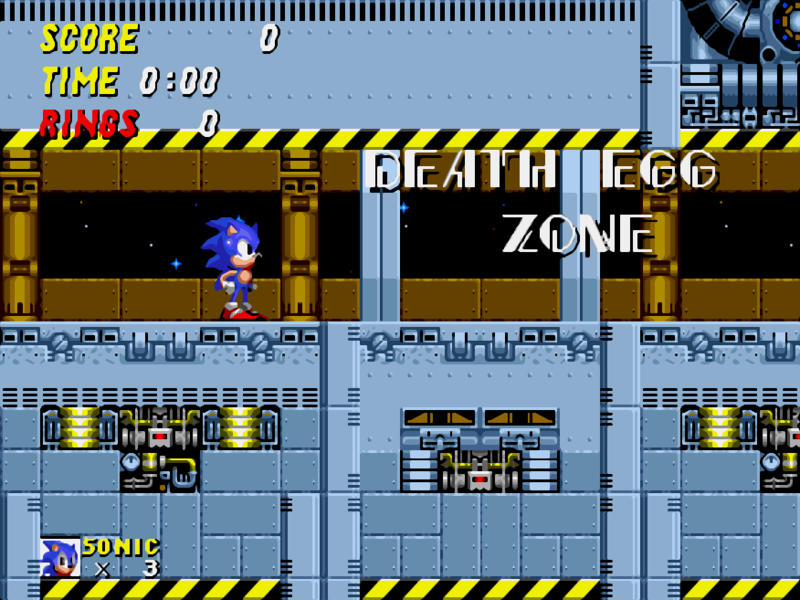 Death Egg Zone in Sonic 2 is what a game in the nineties was all about. No rings, two final bosses, all depending on your wits and timing. If you die, you die. As soon as the zone starts, you know its different. There’s no rings to collect in the first five seconds, so you hold the right key with trepidation. 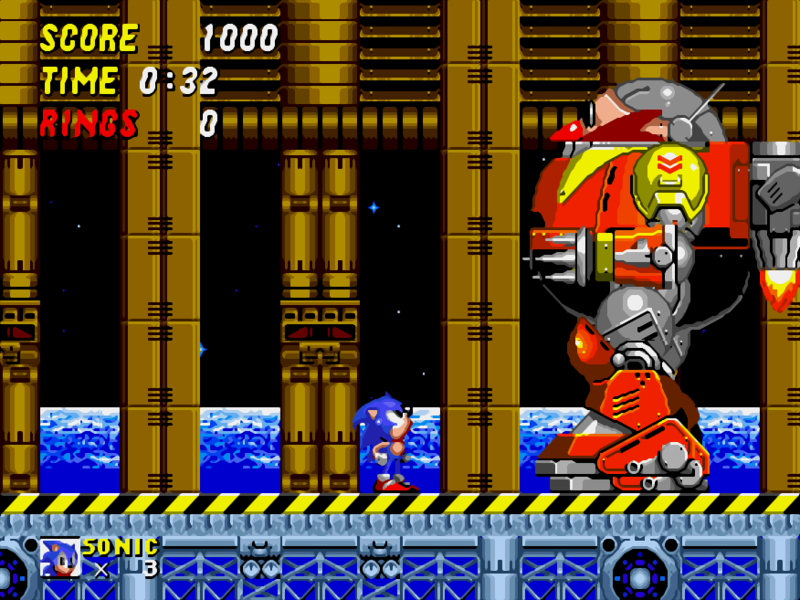 Suddenly, the boss theme starts playing, and you see Robotnik in the centre, watching, then your doppelgänger appears. He will zip from one side of the screen to the next, and you will have to dodge him as soon as he curls into a ball. If you don’t destroy him eventually, he starts shooting spikes in every direction, making that loss of life a near certainty. By now, having no rings depends on you having enough lives in case you’re being killed on repeat. Eventually you’ll have beaten the doppelgänger, where you’ll then see Robotnik. 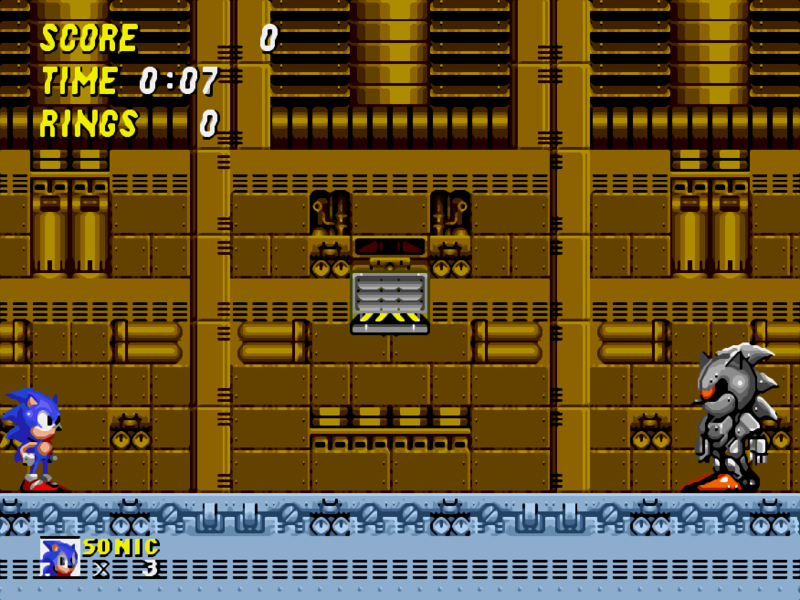 After a quick chase, you’ll see him jump into the ground, and then, a robot rises from the ground, ready to stomp on the player. When I first played this, I had no idea how I would hit him. Would it be his feet to hit to trip it up? How about jumping against any missiles that could deflect back to it? Are there any springs that have appeared to jump me up enough to attack the head? So eventually he flies, and you see him crouch and fly, then land and crouch. Then you realise what you have to do. Then suddenly he crouches and his arms fly off, killing you. By this point, you’re either on your last life, or you know exactly what needs to be done now after so many repeats. The Doppelgänger Sonic is now child’s play to you, all you’re focusing on is that robot. And finally. You do it. The robot crumbles and you have to run to the edge, and then you’ve finally reached the end of the game. 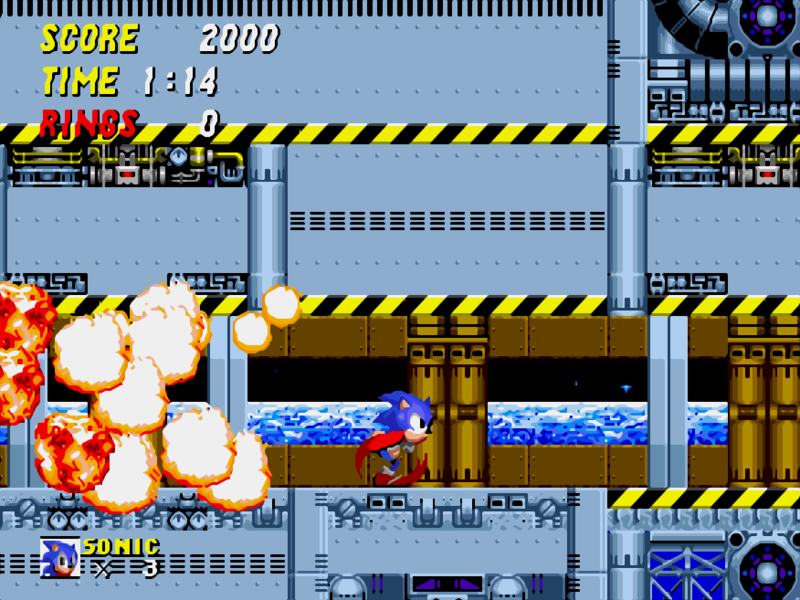 You could say the zone before, Wing Fortress is the first part, followed by this stage being the second. The game was and still is a classic in its own right, offering a massive amount of challenge in every level, increasing as you go along, until you reach Death Egg Zone. But it still keeps you coming back to play it, even twenty three years after its release. The stage did get remade in Sonic Generations with only the robot appearing, and a different way of beating it, but it wasn’t the same. You can now experience this on your iOS or Android device with the stellar remaster that got released a couple of years ago, along with a fully restored zone once cut, ‘Hidden Palace’, which I wrote about at the time. While a ‘3D’ remaster has just been released for the Nintendo 3DS. Try it, beat it, and see how many times it takes you to escape the Death Egg.